Get ready to take a train ride (or car) down the parkway for more concerts this summer. 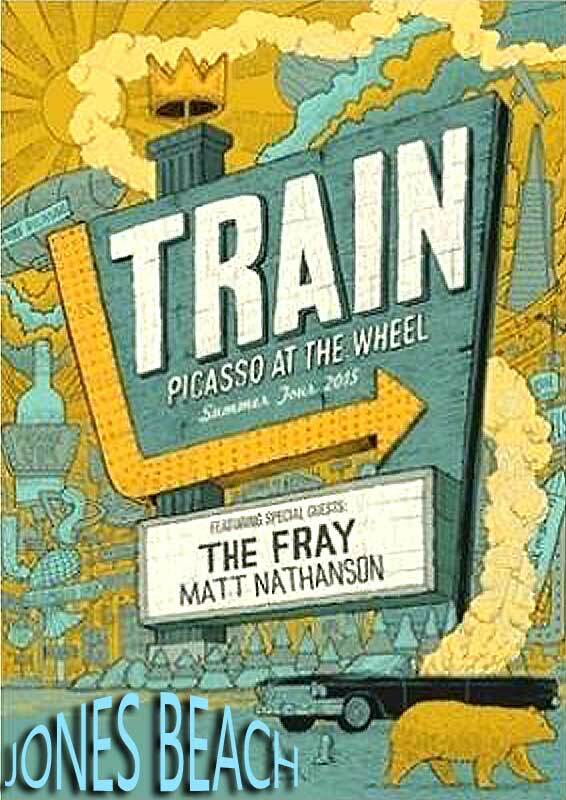 Train and The Fray announced their 2015 joint summer tour including a stop at Jones Beach on June 16! The tour is being called "The Picasso At The Wheel Summer Tour 2015," in honor of Train's new single "Bulletproof Picasso." The band announced Friday a music video will be released next Friday on VEVO, starring Emily Kinney of "The Walking Dead."